I consider myself pretty lucky, I am surrounded by so much love from the families I meet and work with as they experience bringing their baby(ies) into the world. 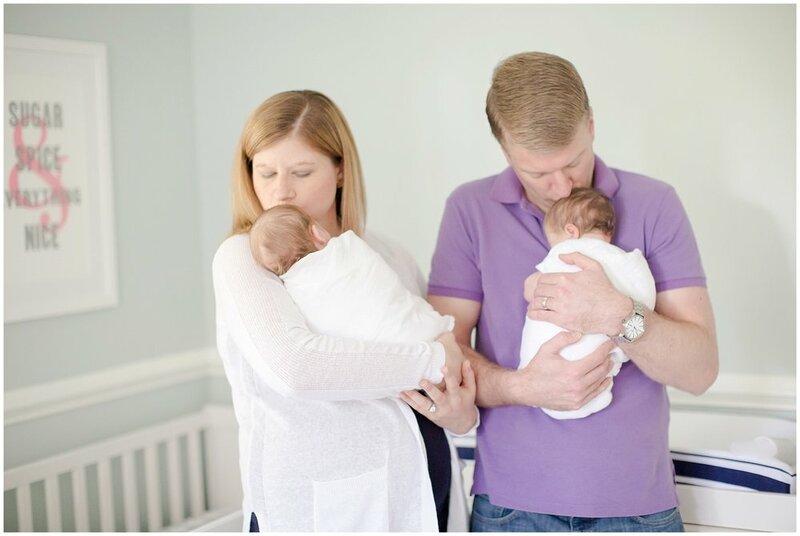 While it might be a very tiring time, my clients are always so welcoming when I arrive for their newborn sessions and meeting Katie and Frank at their home in Alexandria, VA, was no exception. 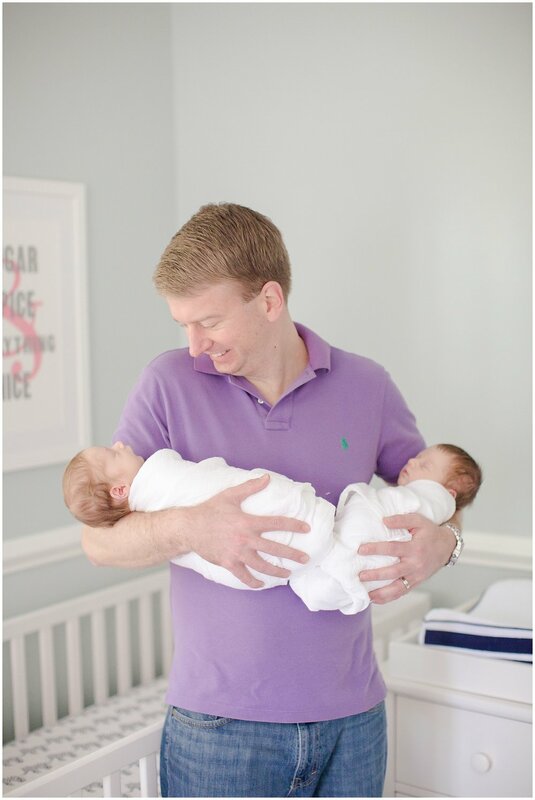 They had the joy of bringing home two beautiful little ones: Nora and Theo, so I was prepared to spend a longer morning with them snuggling not one but two babies. Much to our surprise Nora and Theo slept for their entire newborn session. 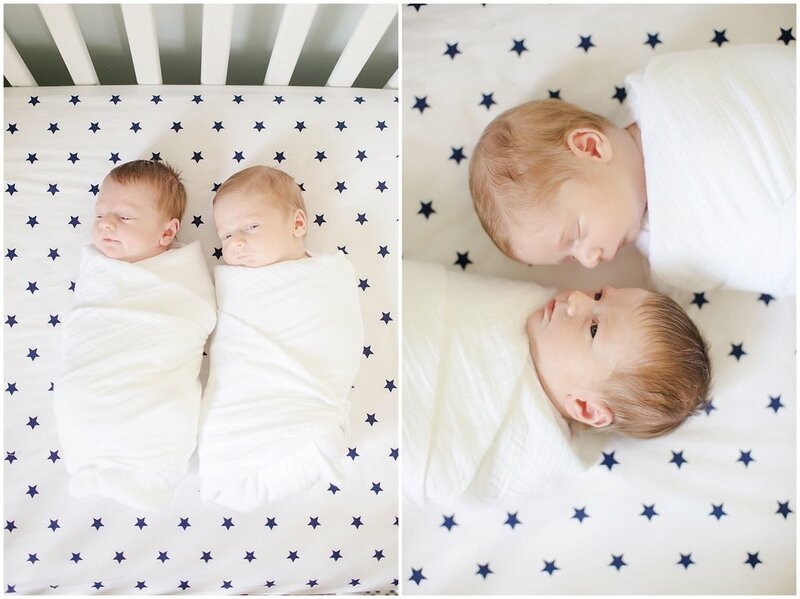 That's almost unheard of for one baby, and newborns needing to eat, be changed, and snuggled are all expected to be part of the session, but these two were the real MVP's! Once they were swaddled it took them a few minutes to fall asleep but they were out in no time, so mom and dad got to enjoy their (hot) coffee as I captured some images for them to remember such a sweet time in their lives. Here are just a few favorites!